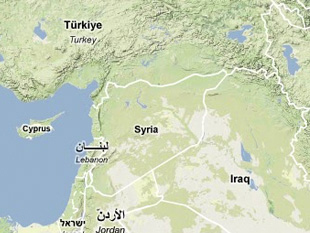  David Albright and Paul Brannan, "Satellite Image Shows Suspected Uranium Conversion Plant in Syria," Institute for Science and International Security, 23 February 2011, www.isis-online.org. IAEA, "Implementation of the NPT Safeguards Agreement in the Syrian Arab Republic," Report by the Director General to the Board of Governors, GOV/2008/60, 19 November 2008, www.iaea.org; IAEA, "Implementation of the NPT Safeguards Agreement in the Syrian Arab Republic," Report by the Director General to the Board of Governors, GOV/2011/30, 24 May 2011, www.iaea.org. "Implementation of the NPT Safeguards Agreement in the Syrian Arab Republic," International Atomic Energy Agency (IAEA), 19 November 2008, www.iaea.org.